Hello my name is Colin and welcome to my website. I’m a professional dog walker in London offering a friendly and reliable service tailored to your beloved dog’s needs. 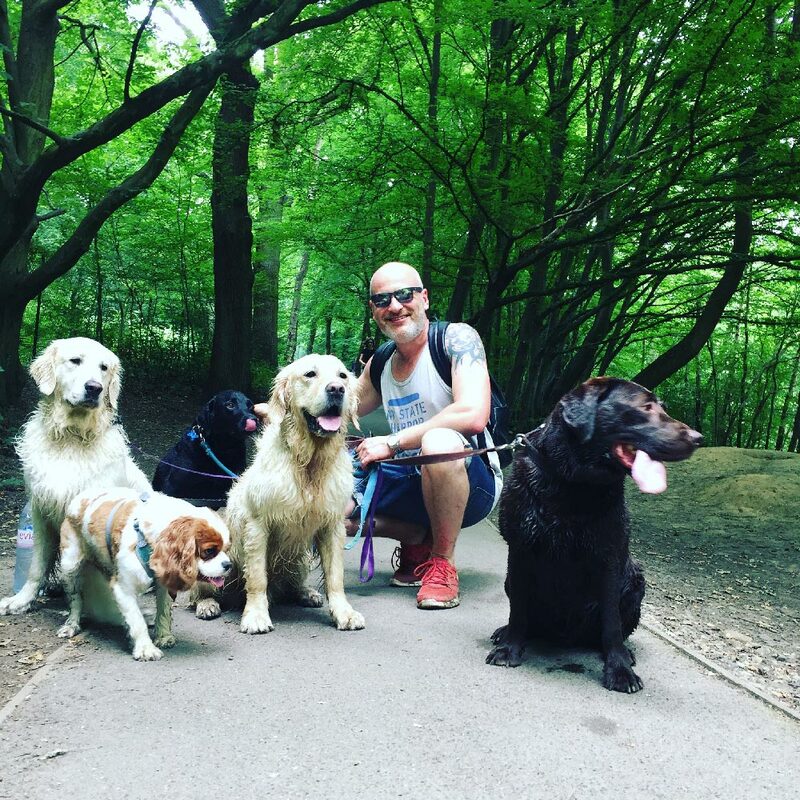 I have over 6 years’ experience in the business and offer active and stimulating dog walks in the London area and a pick up and drop off service in a purpose built van. I can accommodate around your lifestyle and can collect and return dogs out of traditional working hours to suit even the busiest of city careers. I’m fully insured and have experience of all breeds – big or small! I also offer a doggy day care service during the day designed to help those with a busy working lifestyle or a bustling social life, where you can rest assured your beloved dog is in a safe and well cared for environment and is given regular exercise. I can also administer medication if your dog needs it and accommodate any dietary requirements. So if it’s a special diet given by their vet or your pooch is a strict vegetarian – just let me know and I’ll cater to your dog’s needs. If you would like to see what people have to say about Urban Tails please click here for testimonials. For all boarding needs please visit London Doggy Hotel.